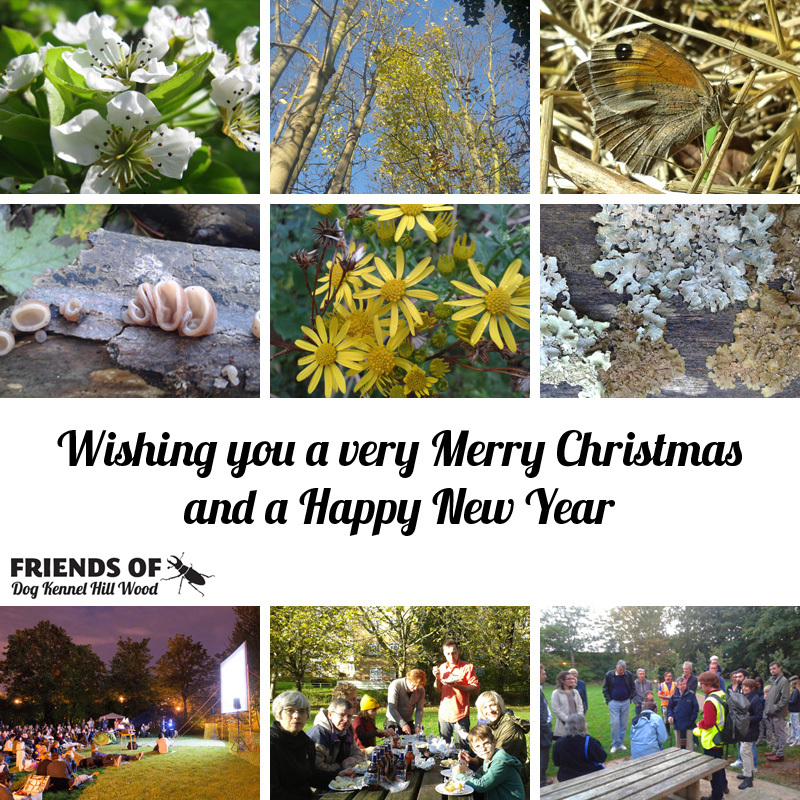 Wishing everyone who has been involved in the Friends of Dog Kennel Hill Wood this year a very MERRY CHRISTMAS and a Happy 2015. Thank you for all your hard work – we achieved a lot this year: bat walk, spring walk, RSPB bird count, Gaumont film night and several workdays. See you in 2015!